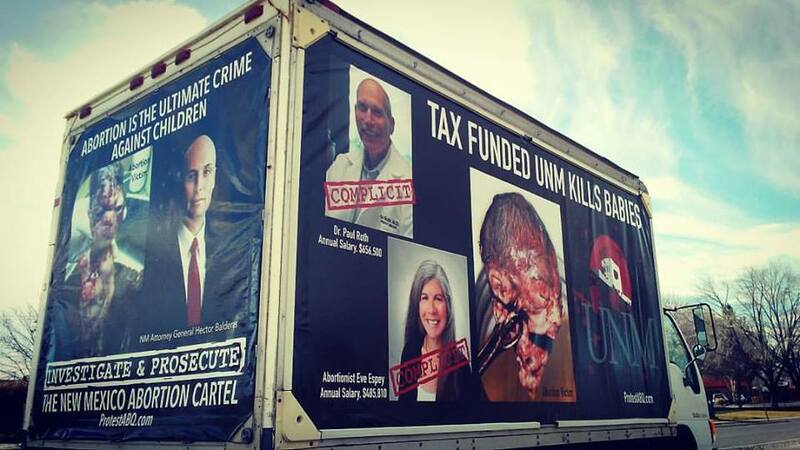 The abortion cartel in New Mexico has been operating by it’s own standards for far too long, and now the state’s publicly funded university, UNM is involved in an unspeakable scandal of using aborted baby remains, for experimental research, from one of the most notorious late term abortion facilities in the nation. This requires immediate action and without peaceful and prayerful pressure there may never be any progress in this matter of life and death that weighs heavily on the state. 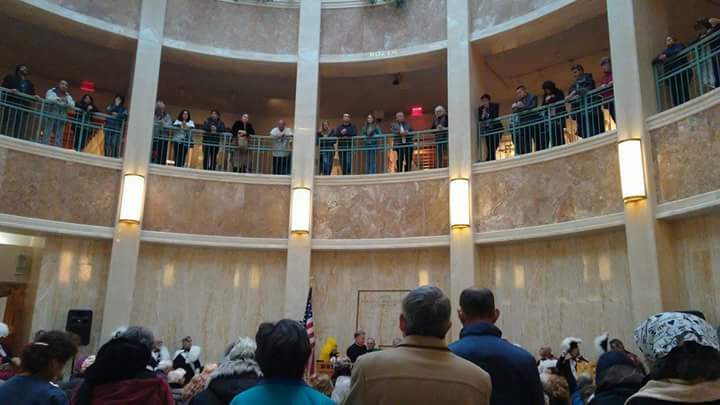 Protest ABQ sponsored a press conference and peaceful protest at the state capital building in Santa Fe this month for our official launch of “Investigate and Prosecute” the New Mexico Abortion Cartel campaign. 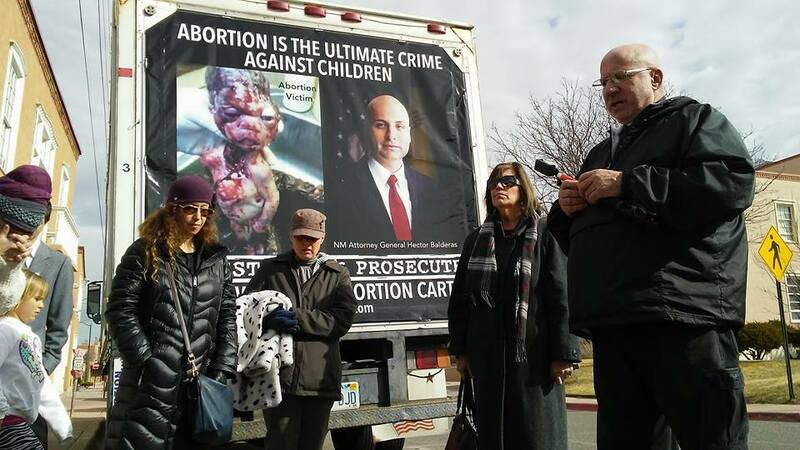 This campaign is aimed at urging New Mexico Attorney General Hector Balderas to investigate complaints and referrals submitted to him regarding the out of control abortion cartel in the state. New Mexico politicians have forgotten that they work for us and have been entrusted with the task of enacting and enforcing laws that bring justice to the oppressed. Our leaders will continue to turn a blind eye unless we show them that this is unacceptable in New Mexico. 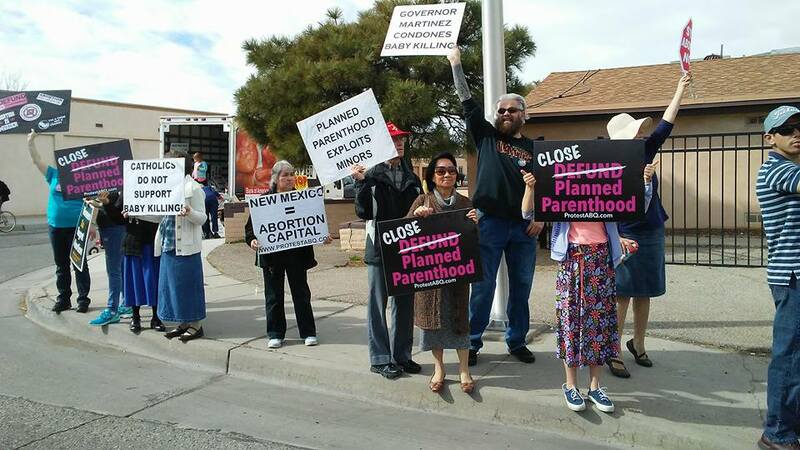 The national #DefundPP protest in Albuquerque, was a huge success. The event was sponsored locally by Protest ABQ. Close to 300 turned out to protest Planned Parenthood! Several other protests were held throughout the month as we debuted new signs on the truth truck. 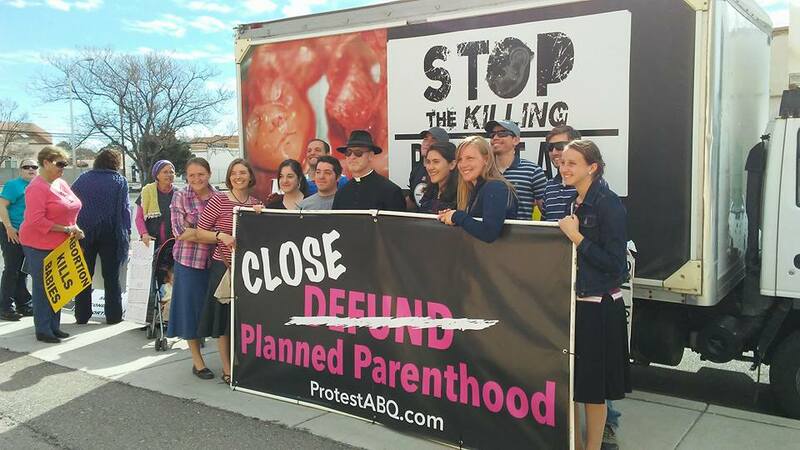 We lit up the darkness in Albuquerque neighborhoods, overpasses and thousands saw the truth about what abortion does to children and who is perpetuating this injustice in NM. 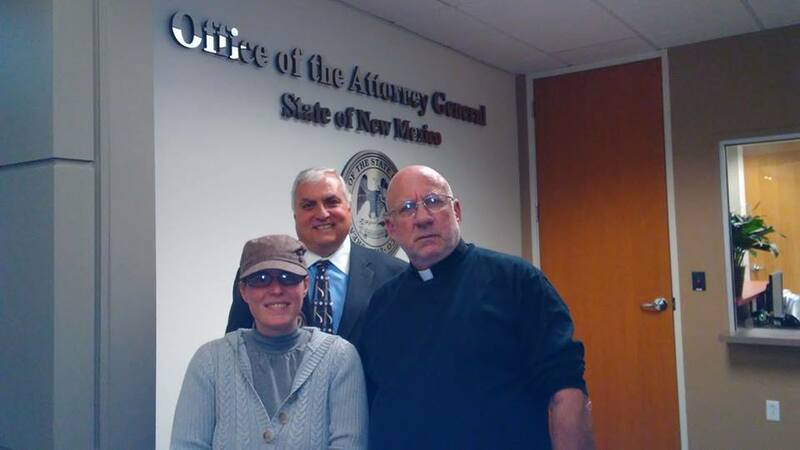 In addition to visiting New Mexico Attorney General Hector Balderas’s office during our “Investigate and Prosecute” the New Mexico Abortion Cartel Campaign Launch, Protest ABQ’s Senior Attorney, Angelo Artuso, (Pictured- above- with Tara and Fr. Imbarrato) testified in Santa Fe during a House Education Committee hearing. Apparently the GOP in New Mexico doesn’t like being held accountable, our “tactics” (of simply urging the public to call the bill’s sponsor to amend the wording) was deemed to be an attack against this representative. Where is the transparency in government that is so needed? Where is the humility of leaders to admit their mistakes and work to correct them in public service to those who elected them? Both are surely needed here. Please pray for our leaders. “Angelo Artuso warns that a move by lawmakers to shield some university research from the public eye could lead to harrowing consequences. At a Wednesday morning House committee hearing, Artuso invoked some of history’s darkest state-sanctioned university research projects. For decades, researchers at Tuskegee University studied the effects of syphilis by pretending to offer infected Black men free health care. And several colleges and universities from the early 1950s until 1973 were involved in Project MKUltra, a CIA program that used drugs like LSD unknowingly on human subjects to experiment with mind control. -Become a monthly financial partner securely online here. 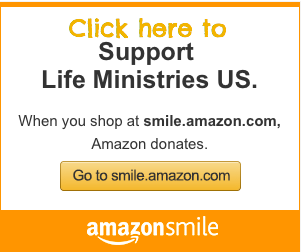 -Give a one-time financial gift from your income tax return. 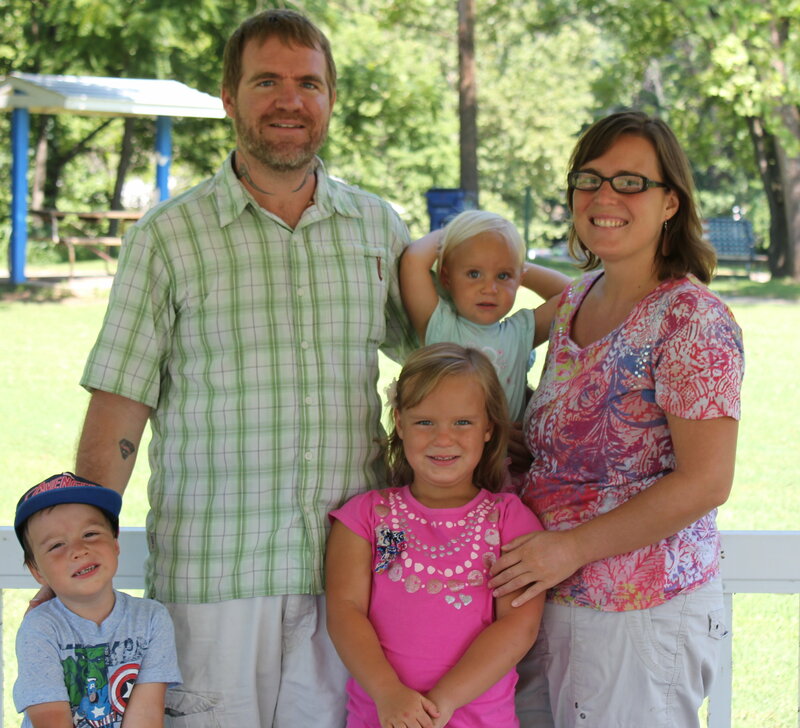 -Host us for a “Missionary Meet and Greet” in your home by inviting friends to learn about our family and our work here in New Mexico. We have some serious problems. The most liberal assisted suicide bill in the nation has been proposed here in NM and is moving through the NM Roundhouse. This bill would pretty much allow anyone help anyone else commit suicide for any reason and then cover up the fact that it was an assisted suicide. Catholic democrats are supporting this and even some republicans! I checked the NMCCB website as well as the Archdiocese of Santa Fe and Diocese of Gallup website and I found nothing about these bills. Here is the link to contact legislators. 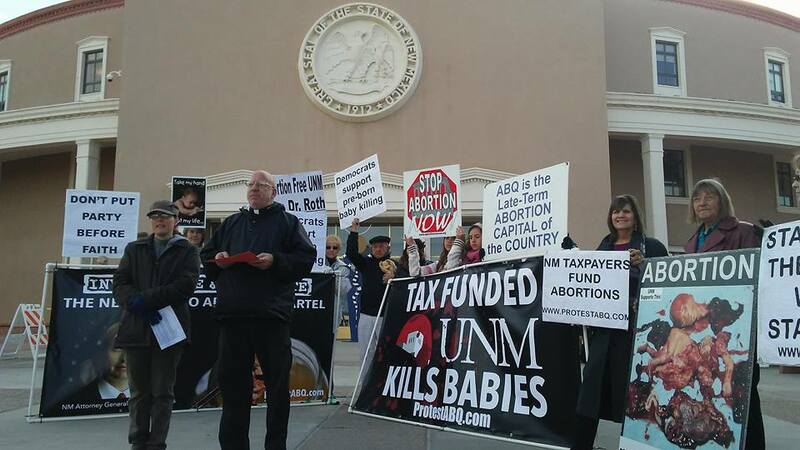 Of course Ortiz y Pino is a radical democrat Catholic pro-abort who is a proud member of ABQ Catholics for Choice! There is a bill in this years legislative session that few people have noticed and I know you will take action when you see it. It is SB282 sponsored by Senator Ortiz y Pino of Albuquerque. This bill forces ALL hospitals in New Mexico to perform abortions and has penalties for those who refuse. Thank you for taking a few minutes and following up on this. Action Needed to prevent bill that will hinder transparency at UNM and other research Universities. Albuquerque, NM- One of the many obstacles we face here in New Mexico is the lack of transparency. The University of New Mexico (UNM), in particular, is notorious for keeping things they don’t want brought to light, hidden from members of the public that fund them with their tax dollars. Rep. Jason Harper (R) from Rio Rancho is sponsoring a bill that will further protect UNM and other research Universities from being transparent and held accountable by public citizens. “Instead of demanding more accountability and being more vocal about the University of New Mexico’s radical abortion agenda that is being funded by taxpayers, it is disconcerting that some Republicans are attempting introduce legislation that will provide more cover and less transparency. 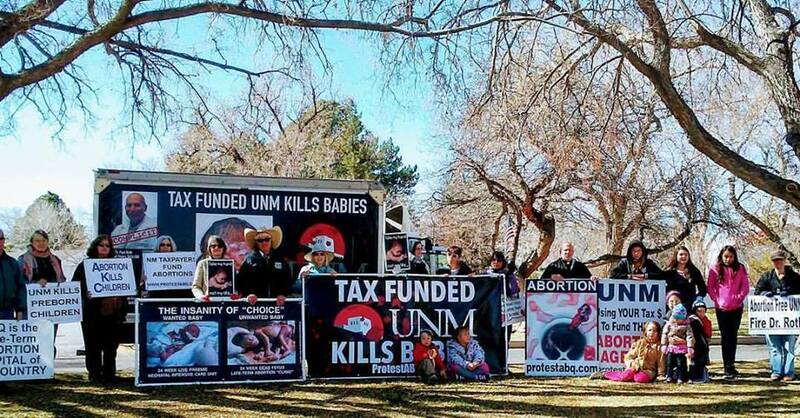 With this latest development coming to light, it is becoming more apparent that the Abortion Cartel in New Mexico is being given aid and cover by both the Republicans and Democrats,” stated Bud Shaver, executive director of Protest ABQ. HB 267 the Exempt College Certain Proprietary Info Act seeks to prevent citizens from obtaining certain “proprietary” information through inspection of public records requests (IPRA). The language used in this bill is so broad that UNM and others could shut down IPRA requests by claiming that the information being sought fits the following criteria when in fact it does not. In a free and open society, it is a fundamental right of every citizen to obtain and inspect public records especially from publicly funded institutions, like UNM. However, HB 267 will hinder that process and ultimately protect UNM and their radically pro-abortion agenda from public accountability that is already unchecked at every turn. There are too many questions surrounding this bill and too much at stake should it pass. For these reasons we ask you to contact Rep. Harper and ask him to withdraw this bill until he can work with someone who can amend it properly so that it doesn’t infringe upon a citizens right to have access to and inspect public records. HB 267 is set to be heard in the House Education Committee on Friday, February 17, 2017. In addition, please contact these committee members and ask them to oppose HB267. In a free and open society, it is a fundamental right of every citizen to obtain and inspect public records especially from publicly funded institutions, like UNM. However, HB 267 will hinder that process and ultimately protect UNM and other universities from providing transparency regarding experimental research that is important for the public to know about. In the interest of public accountability and oversight, please oppose HB 267.